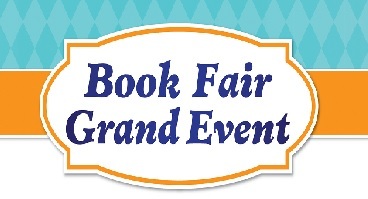 Book Fair Grand Event Coming Soon! Grandparents and other loved ones are very important in children’s lives, and we are celebrating a day just for them. Our school’s Grand Event recognizes the important role this audience can play in a child’s education. Because learning to read is the most important skill a child can learn, we’ve scheduled a special time for grandparents and other loved ones to celebrate reading during our Scholastic Book Fair. Book Fairs have always been about families and reading. We ask you to invite grand’s or other loved ones to visit our Scholastic Book Fair and experience a celebration of reading that provides an opportunity for them to get involved in a universal mission: encouraging kids to read every day so they can lead better lives. Reading is vital to every child’s success, and raising kids as reader’s means getting involved while they’re young. Now is the time. Giving kids access to good books and the opportunity to choose their own books will motivate them to read more. And like most acquired skills, the more kids practice reading, the better they’ll get. We hope your child’s grand’s will visit our school, find out what your grand student is learning, and celebrate with us. Location: The Academy of Our Lady of Peace Gym – Grand’s will begin with a Continental Breakfast, followed by a craft with their loved one and then a trip to the Book Fair. Please complete the RSVP form and return to school no later than January 28th, 2019. Previous PostPrevious Tricky Tray 2019 Booklet Now Available for Viewing!